When petroleum crude oil is extracted and produced from onshore or offshore oil wells, raw natural gas associated with the oil is produced to the surface as well. Especially in areas of the world lacking pipelines and other gas transportation infrastructure, vast amounts of such associated gas are commonly flared as waste or unusable gas. 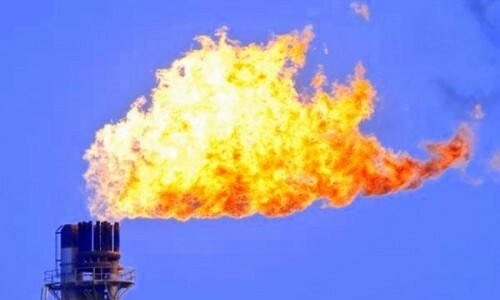 The flaring of associated gas may occur at the top of a vertical flare stack – as in the picture – or it may occur in a ground-level flare in an earthen pit. Using Verdis Gas-to-Diesel conversion units is the smart, profitable alternative to flaring and venting associated gas. It will allow companies to completely stop their gas-flaring. This will reduce carbon footprints, provide a source of high-value ultra-clean fuel, and generate significant revenue streams while optimizing the supply chains.